Canada/US Northeast Short Haul: Why Bison? With a wide variety of lifestyle options, Bison works closely with our Drivers to find a run and schedule that best suits their needs. Recently, it has been our Canada/US Northeast Short Haul fleet that is experiencing strong growth, and the reason is simple: our Drivers are making more and working less, so they’re able to spend more time with family and friends at home. 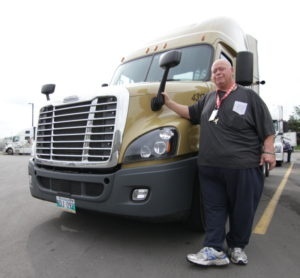 In the first installment of our Canada/US Northeast Short Haul series, we talked to Nick “Tiny” Caleca, who has been driving with Bison since October 2008, about making the move from Open Board to our Canada/US Short Haul Northeast fleet and the increased earning potential and dispelled some of the myths that surround driving along the Eastern seaboard. In this second installment, Tiny discusses the advantages of joining the Bison family and the strong relationships he's been able to build with his customers. 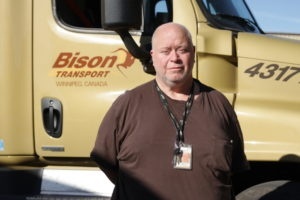 "At Bison they like to keep us moving so we keep our wheels turning and the income coming into our pockets," Tiny said. "We have a steady base of large clientele that keep us busy so there are plenty miles and lots of work." In addition to consistent mileage, our Canada/US Northeast Short Haul Drivers, who can be based out of Mississauga, Ottawa or Dorval, often work with a dedicated client base, meaning they are able to develop beneficial relationships with their customer. In such a competitive job market, there are plenty of options for Drivers in the Northeast, but there are few that offer the level of consistency that Bison does, which translates to steady income for our Drivers. The combination of increased home-time, improved earning potential, steady runs to established customers and consistent mileage has led to a recent surge in the growth Bison’s Canada/US Northeast Shorthaul fleet. Another benefit of joining our Canada/US Northeast Short Haul fleet is the steady run and strong customer relationships. As Drivers become increasingly familiar with the region, they will also enjoy working with the same customers a lot of the time. For Tiny, this has been particularly beneficial, as it enables him to easily plan his routes. “Having set customers you know exactly where your breaks are going to be and you know how long it will be until you arrive at the customer, so you can easily communicate with them,” he said. Building a strong relationship with his customers has also helped Tiny be more efficient on the road, as he can rely on his regular customer to ensure he is able to quickly deliver his load and get back on the road. Interested in joining the fleet? Start your application today!